Dragana Ciric Milovanovic is Director of Disability Rights International’s Europe Regional Office. 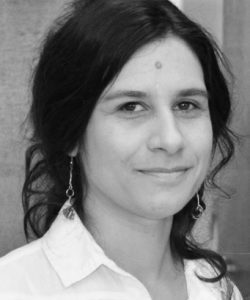 She is also a founder of Mental Disability Rights Initiative in Serbia (MDRI-S), an affiliate of Disability Rights International, founded in 2008 to support national advocacy movement of persons with intellectual, cognitive and psycho-social disabilities and perform oversight of their human rights in Serbia. Her work includes monitoring of and reporting on human rights of persons with disabilities, especially those placed in segregated settings, work on public policies, national, regional and world-wide advocacy, capacity building, and raising public awareness on the rights of persons with disabilities. Dragana is an author of numerous reports and publications on disability rights in Serbia. Dragana has served as a consultant to national and international organization and institutions, including Office of the High Commissioner for Human Rights, OSCE and the Council of Europe, on the human rights of persons with intellectual, cognitive and psychosocial disabilities, with specific focus on deinstitutionalization, equality before the law and torture prevention. Dragana is a member of the Serbian Ombudsman’s Council for the Rights of Persons with Disabilities, a member of Serbian National Mechanism for Prevention of Torture since its establishment and an Alumnus of the European Union Visitors Programme (EUVP 2011) for young leaders from outside the EU. Dragana holds MA in Psychology and a Certificate in Rational – Emotive – Behavioral Therapy (REBT) of Albert Ellis Institute.